When will be Gilligan's Island next episode air date? Is Gilligan's Island renewed or cancelled? Where to countdown Gilligan's Island air dates? Is Gilligan's Island worth watching? A tale of a fateful trip: Gilligan's Island was centered around a group of people who were virtually complete opposites of each other. They came across each other on one sunny day in Hawaii when they all ended up on the same three hour tour. However, the three hour tour ended up being much longer than expected. During the tour, storms began to brew, and despite the crew's efforts; they ended up shipwrecked on a tiny, uncharted, deserted island somewhere in the Pacific Ocean. The rest of the series focused around the group trying to figure out a way back to civilization, along with their island life together. During each half hour episode the group would come close to leaving the island, but at the last moment, they some how ended up right back where they started. This was usually caused by The Gilligan Factor. The Gilligan Factor describes how Gilligan usually accidentally foiled the others attempts to make it off the island, but in the end, he ends up saving them all. For instance, in one episode, an unmanned Russian space capsule washes up on the island. The castaway's plan to use it to escape from the island, but it can only fit two people. As they argue about who should board it, Gilligan accidentally lets it slip away. So, he has once again foiled their plans. However, moments after slipping away, the Russian space program blows it up in fear the USA will steal it's technology. So, in the end, Gilligan has actually saved those who would have been on board it. The group consisted of Gilligan, The Skipper, Ginger, Mary Ann, The Professor, and Mr. and Mrs. Howell. Gilligan, the happy-go-lucky first mate was often the most optimistic of the group, however his dimwitted and often unlucky mistakes were usually the reason the group never made it off the island. The Skipper was the leader of the group, and often had to keep Gilligan under control and the castaways happy. Skipper had to deal with the guilt of feeling like he was the reason the group was ship wrecked, which caused him great distress. Ginger, the famous movie star, had a harder time adapting to life on the island. Her good looks were often used to sway the boys into doing whatever she wanted them to do. Mary Ann, the simple Kansas farm girl, had an easier time adapting. She took care of things like cooking and cleaning on the island, and often turned to the Professor for help. The Professor was easily the smartest of the group, and often used island resources to invent things for the group to use on the island. Such as showers, barometers, and coconut phones. The Professor spent most of his time trying to fix the transistor radio in order to gain contact with civilization, along with inventing other mechanisms in desperate attempts to escape the island. His plans were often accidentally foiled by Gilligan. Mr. and Mrs. Howell easily had the hardest time adapting. Back in civilization they were two of the richest people alive, however, their money was useless on the island. They often spent their time trying to make the island into their own getaway. Throughout the series they often stated if they ever made it off the island, they would use their money to turn it into a hotel resort. The three seasons of Gilligan's Island contained different types of episodes which could easily be categorized into three different types: Island Life, Visitors, and Dream Sequences. Island Life episodes are episodes which contain a plot solely dedicated to the groups life on the Island. 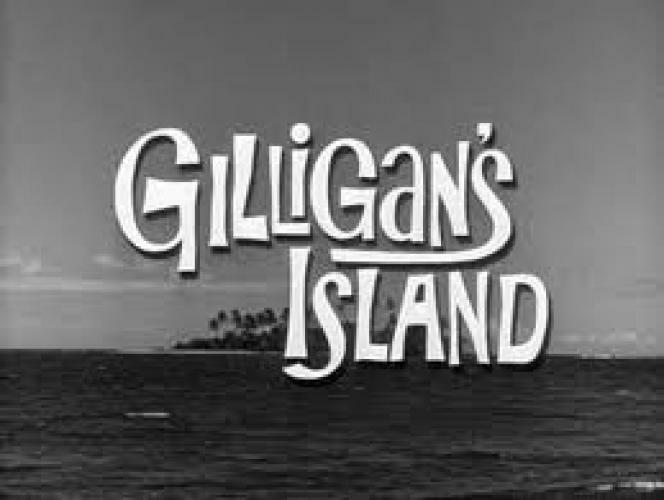 Such as episode 6 of season 1, "President Gilligan", in which the castaway's decide who should be the leader of the group. Visitor episodes are episodes which contain a character visiting the island who is not part of the original group of seven. Such as episode 5 of season 1, "Wrongway Feldman", in which it turns out an old pilot has also been stranded on the island for many years, and his plane may be fixable. Dream Sequence episodes are episodes which plots are centered around a dream that one or more of the characters is having. Such as episode 1 of season 3, "Up at Bat", in which Gilligan dreams he is Dracula after being bitten by a bat. After three seasons, Gilligan's Island was canceled. This was thought to be because of the pressure on CBS caused by the impending threat of Gunsmoke being canceled. In order to save the western, which aired late on Saturday nights, Gilligan was canceled in order to open up early air time on Monday evenings; even though Gilligan had solid ratings. It was also rumored that the wife of the President of CBS at the time preferred Gunsmoke, although, this is probably untrue. The seasons of Gilligan's Island were recently released on DVD and all three can be bought today. However, the series did not end after it was canceled. 15 or so years after cancellation the cast reunited and made 3 movies. "Rescue From Gilligan's Island", in which the castaway's finally escaped from the island and back to civilization. They realize times have changed, and decide to reunite on the Skippers new boat. In the end, they end up back on the island. "The Castaway's on Gilligan's Island", in which the castaway's escaped from the island once again, for good. In the end, they turn the island into a resort. And finally, "The Harlem Globe Trotters On Gilligan's Island", in which a rival millionaire couple challenge the Howell's to a basketball game, the winning prize being owning the island. The castaway's then seek help from the Harlem Globe Trotters. The movies were heavily mocked for ruining the name of series, basically for being down-right poorly written and 'stupid'. The major flaw of the movies was that Tina Louise, the actress who played Ginger, did not reprise her role for the movies. Instead she was replaced with Judith Baldwin. There is no real answer for why Tina Louise did not reprise her role. It could be stated that she saw the script for the movies and decided not to, but it is also rumored that she asked for too much money. Tina Louise often bumped heads with the creators of Gilligan's Island. Before the series went live, she believed her character (Ginger) was going to be the star. However, it shifted to Gilligan. She later claimed her role as Ginger "ruined her acting career". This wasn't the first time the cast bumped heads with the creators, in the first season all the actors except for Dawn Wells (Mary Ann) and Russell Johnson (The Professor) had their characters announced in the opening credits. Dawn and Russell were simply noted as "and the rest...". After their characters proved to be just as popular as the others, they demanded they be added to the opening credits. The creators told them it would be too much money to re-shoot the opening credits at that point, but it was in Dawn and Russell's contracts that they had the right to be noted wherever they wanted; and so they were added to the opening credits as "the Professor and Mary Ann...". The third movie was also plagued by the absence of Jim Backus (Mr. Howell), who suffered from Parkinson's disease at the time. However, he did make a cameo at the end. Even after three seasons, three movies, and many years Gilligan's Island has continued to influence TV today. Some spin-offs include: The New Adventures of Gilligan, an animated show continuing the adventures of the castaways on the island. Gilligan's Planet, another animated spin-off in which the castaway's end up stranded on a different island...on a different planet! Along with Gilligan's Island: The E! True Hollywood Story, which featured a backstage look at the show behind the scenes, and Surviving Gilligan's Island: The Incredibly True Story of the Longest Three Hour Tour in History, which was a "docudrama" in which Bob Denver (Gilligan), Dawn Wells (Mary Ann), and Russel Johnson (the Professor), thought back to their time on the show. And last but not least, The Real Gilligan's Island, a reality show which stranded two groups of castaway's on an island where they competed for who was the better group of castaways. EpisoDate.com is your TV show guide to Countdown Gilligan's Island Episode Air Dates and to stay in touch with Gilligan's Island next episode Air Date and your others favorite TV Shows. Add the shows you like to a "Watchlist" and let the site take it from there.